The Renewable Energy Asia 2018 is the biggest solar trade show in Bangkok. 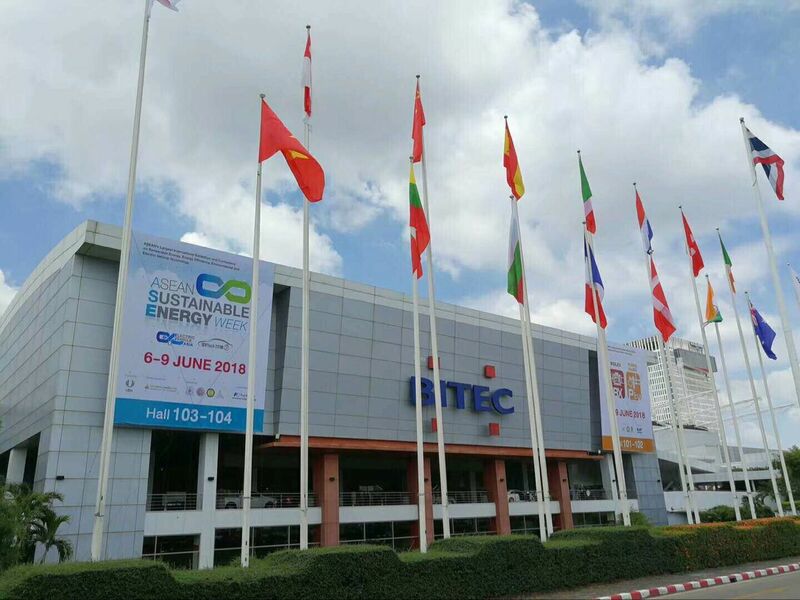 From June 6th to 9th, The Renewable Energy Asia 2018 was held on BITEC, Bangkok, Thailand, which attracted many professional buyers and exhibitors. 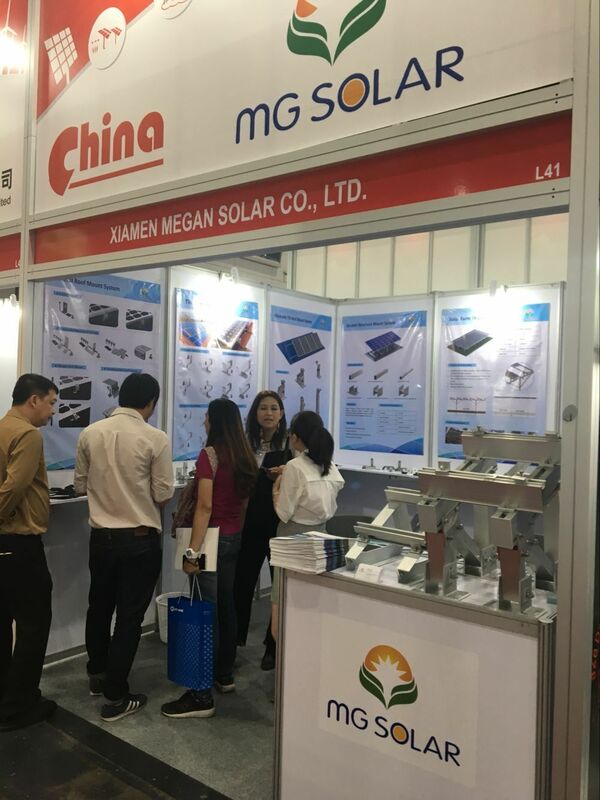 As one of the biggest suppliers for solar mounting systems in China, MG Solar attended the show and displayed the latest aluminum roof mounting structures. 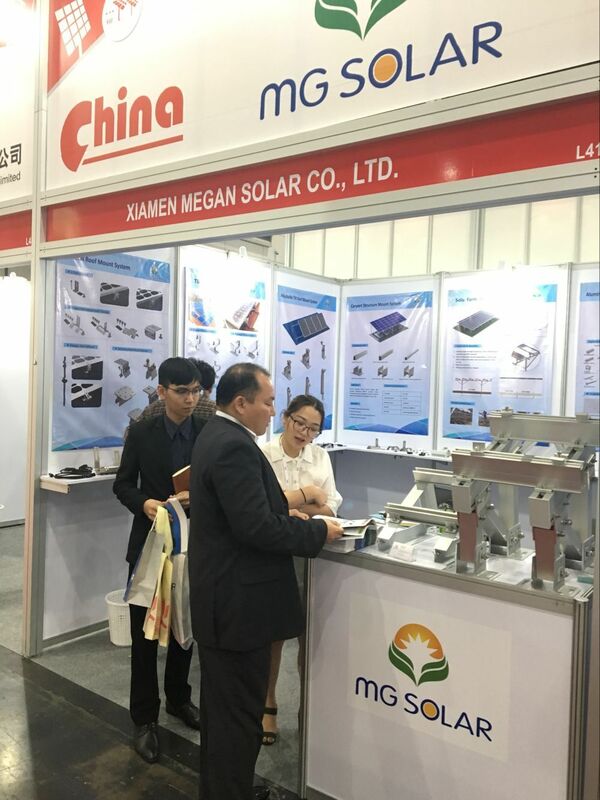 With the good design and professional service, our booth attracted the eyes of many professional buyers for the cooperation discussion. 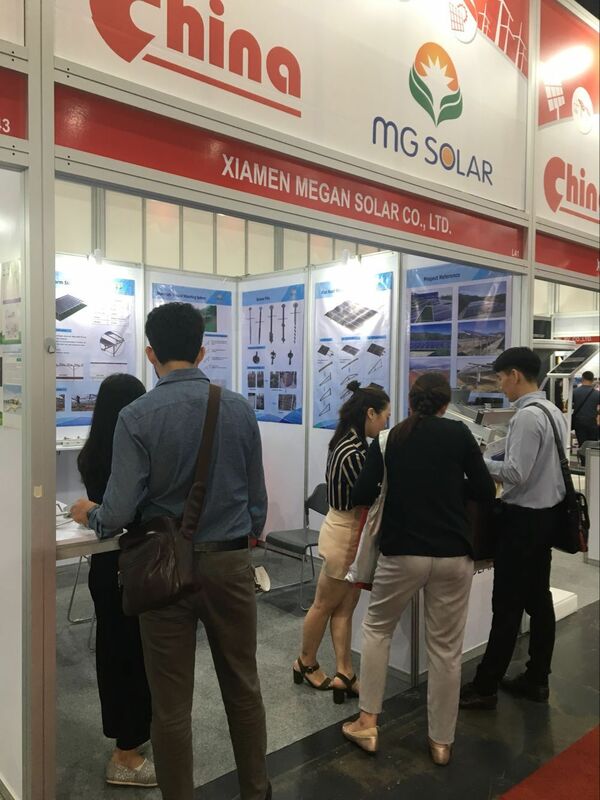 We believe that MG Solar will contribute to Thailand Solar market with our first rate designs and professional service.